Our office is open every day from 9am so if you have a general enquiry, want to book a stay, need more information about what we offer or just want to check availability then please contact us by telephone, email or use the form below. To request a brochure be sent to you, fill in all your details and we’ll send one by return of post. 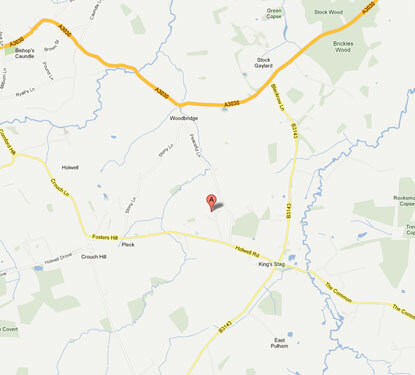 Middle Piccadilly nestles in the heart of the Dorset countryside but is easily accessible by road or rail. The nearest station, 4 miles away in Sherborne has a direct link to London Waterloo and Exeter and all routes west. By road the centre is situated about 11 miles from the A303 - heading east this connects with the M3, heading west connects with the M5 and Exeter. Middle Piccadilly was established in 1986 by founders Eliana and Gerry Harvey and started life as an innovative healing centre with emphasis on the holistic approach. Currently run by eldest son – Dominic and his wife Lisa - the centre offers over a quarter of a century of Natural Health Expertise and is the foremost Rural Retreat in the country.